Doors at 6:00PM. Music begins at 7:00PM. Food trucks by Julians and Nice Slice will be parked outside the Theatre entrance on 270 Broadway throughout the evening. The Columbus Cooperative, a volunteer-run organization dedicated to working in tandem with the Theatre’s owner, Jon Berberian, to produce and present high-quality programming and restore the Theatre to cultural prominence in the community, is pleased to present Revival!, an all-ages celebration of the reopening of Providence’s historic Columbus Theatre. Fifty percent of profits from Revival! will be donated to ATRAVES (pronounced “ah-trah-VASE”), an organization dedicated improving quality of life in Barrio Camilo Ortega, an impoverished neighborhood in Managua, Nicaragua. Proceeds from the event will support an elementary school that serves 250 children who have no other access to education, as well as health and development programs. ATRAVES organizes volunteer trips for youth, students, and professionals from Rhode Island and nationally, and welcomes inquiries from individuals and groups. Revival! marks the first evening of programming by the Columbus Cooperative, who will work in the coming months to build an in-house programming presence at the Theatre. 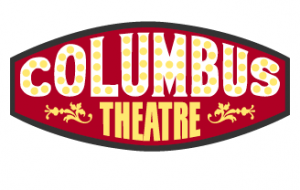 Beginning in 2013, the Columbus Theatre will also be available for rental by community groups and for private functions. For more information on rental and booking, interested parties may email. Related: Columbus Theater, Opening Soon?